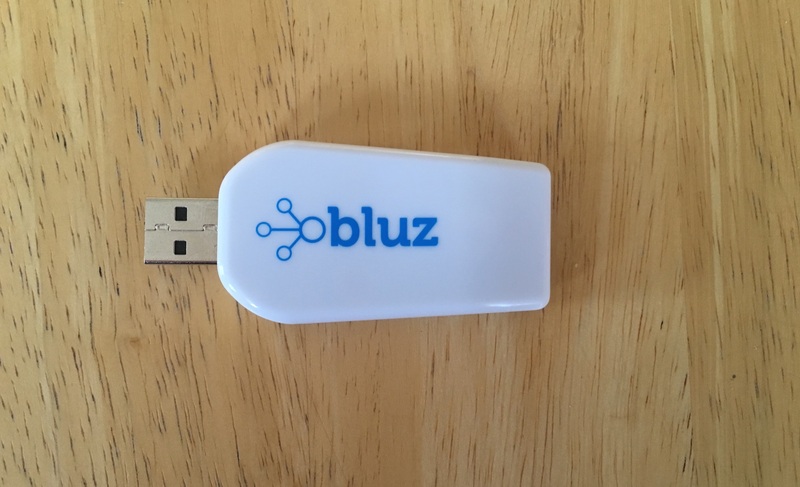 The bluz gateway is a fully packaged solution for people to deploy products. It works the same way as the gateway shield, acting as a bridge from Bluetooth LE to the internet. This allows you to place the most power-hungry portion of your deployment in a central location with a constant power source, then place many battery powered bluz boards wherever you may need. The USB connector provides power to the device, plugging it into a standard wall connecter will power both the P1 and nrf51822. The USB connector also hooks to the P1 modules, just as connecting to the USB port on the Photon. You can flash new firmware to the P1 or talk to it locally on a computer through this USB port. The case of the gateway is semi-transparent, this allows the RGB LED of the P1 and the status LED of the nrf51822 to shine through. Once powered, you will be able to idenfity the state of the gateway by observing these LED's through the side of the case that is printed with the bluz logo. The case for the gateway can snap off, allowing easy access to the underlying PCB. On it you will find a single button, which is the SETUP button for the P1. This allows the P1 module on board to be reset or to enter DFU mode. The gateway pairs an nrf51822 working in central mode with a Particle P1. This provides both the WiFi and BLE portions in one compact package.